This is the fourth chapter of The Ultimate Guide to Carpets. While wall to wall carpet remains the superior choice for large-scale patterning and to create a luxurious ambience, carpet tiles are a cost-effective choice in almost all other cases. With their small size, carpet tiles are considerably easier to lift, move and install when compared to wall to wall carpet. They also typically result in considerably less waste during installation as much less cutting is needed, particularly in rooms with many nooks and odd angles. Some manufacturers also offer very lightweight carpet tiles that make life even easier for carpet installers. It’s for these reasons that carpet tiles offer considerable cost and time savings over wall to wall carpet – making them an ideal choice for projects on a tight budget or tight timeline. Carpet tiles are not only easy to install, but also easy to remove. Should wear and damage occur, carpet tiles can readily be replaced individually rather than replacing an entire floor. Wall to wall carpets can be spot-repaired as well, but the process is often significantly more complicated, both in terms of ordering a matching segment of carpet and in terms of fitting expertise required. Another maintenance advantage of the carpet tiles is that the tiles can be easily lifted if access is needed to the substrate floor beneath. This means technicians are able to gain access to underfloor cables when needed, a considerable advantage in spaces that are constantly subject to change, such as conference halls and agile workplaces. In some ways, carpet tiles offer greater design flexibility than wall to wall carpets. With new dye technologies it’s possible to create a wide range of colours and patterns on carpet tiles that are not possible on wall to wall. 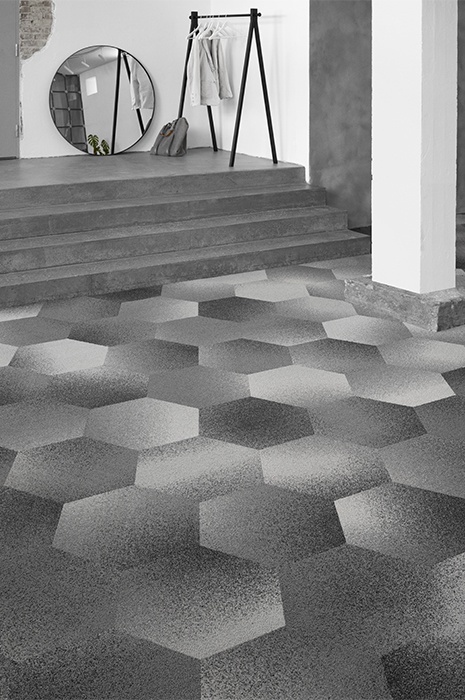 By applying dye after the carpet is cut into tiles, it’s possible to achieve perfect design registration across all edges of each tile, so a design flows almost seamlessly from tile to tile. Like wall to wall, carpet tiles can be custom coloured or applied with a custom design to create unique environments only limited by the designer’s imagination. For unique or complicated custom designs, wall to wall is still likely to be your best option, but with the emerging technologies, carpet tiles no longer necessarily mean a boxy look or a clean solid colour. For unique or complicated custom designs, wall to wall is still likely to be your best option, but with the emerging technologies, carpet tiles no longer necessarily mean a boxy look or a clean solid colour. Carpet tiles today offer all the warmth, comfort, acoustic qualities and health and safety benefits of wall to wall carpet with the added advantage that their layered structure absorbs even more structure-borne sound than wall to wall, providing a noticeable improvement in sound levels even in large open plan office environments, call centres, crowded bars or busy restaurants. 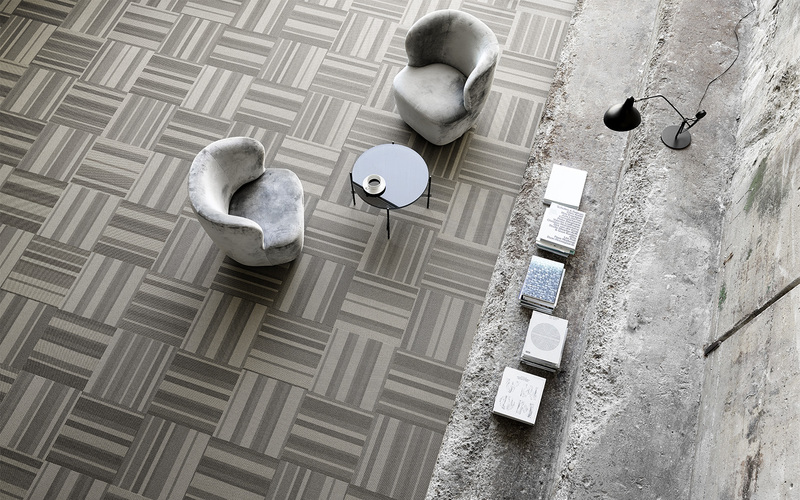 Tiles do, however, lack the option of extra plush backing, which may not impact acoustics, but will impact the tactile underfoot sensation that might be desired in certain high end projects. All in all, carpet tiles can be used successfully to striking effect in almost all commercial and institutional environments. While wall to wall carpet remains the superior choice for large-scale patterning and to create a luxurious ambience, carpet tiles are a cost-effective choice in almost all other cases and create a freedom of design potential far above any other non-carpet flooring options. Continuing on, in the next blogpost we look at how to go about choosing the right carpet for your project. 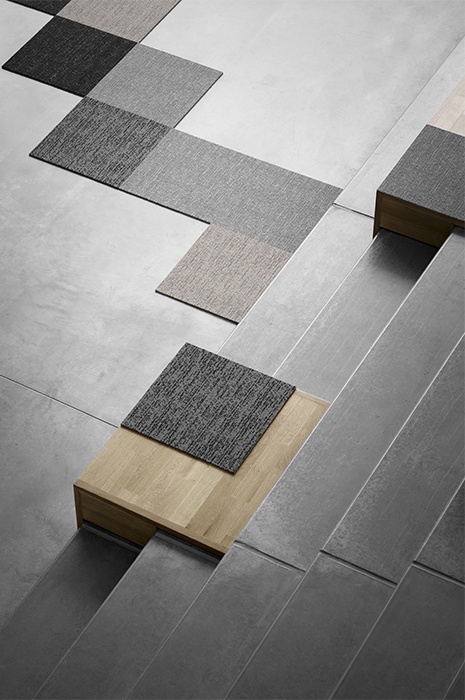 Carpet tiles can be installed in different configurations to create different effects. Patterned tiles can be used for traffic areas and solid colours to delineate break-out areas for example, or changes in tile colour or pattern can be used for wayfinding, such as indicating where people should queue at ticket windows. Additionally, the seams between carpet tiles can be either disguised or celebrated, depending on the desired effect. 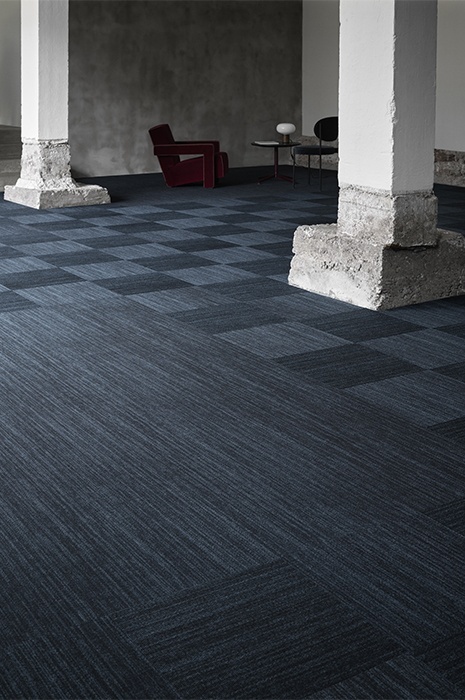 Different sizes of carpet tile can also be used to create a range of effects across a single flooring project. The modularity of carpet tiles is part of what makes them an amazing creative tool for any playful architect and interior designer. Remember, any carpet provider worth their salt will let you order samples, so you can play around with the different sizes, shapes and colours, never compromising on things.